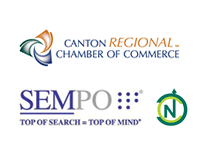 North Canton, Ohio has a lot of extremely talented individuals in the technology field. From designers and website coders to app developers, you really do not have to look too far if you are a business owner who is looking to take things to the next level. We recently stumbled across a local company, Squirrels, who has created a line up of stellar software programs. Today, their flagship applications AirParrot and Reflector are used around the globe by hundreds of thousands of people-educators, business owners, salespeople, developers, graphic designers, gamers and more. They let me test drive Reflector so that I can share it with you! Reflector is a wireless mirroring and streaming receiver that works great with Google Cast™, AirPlay™ and AirParrot. Mirror your content to the big screen without wires or complicated setups. Play games, watch movies, demo applications or present from the palm of your hand. Everything you do on your device can be wirelessly sent to Reflector! I am not stranger to the area of screen sharing and information presenting. When it comes to gathering a group of people together and projecting a video or a presentation, I have tried PowerPoint, Google Hangouts, GoTo Meetings, AirPlay and just about every option that you can think of. I was expecting to have a lot of hoops to jump through, like passcodes to enter or something of the sort, but it was incredibly seamless to set up and get running. If you are familiar with sharing your phone, laptop or tablet with your Apple TV, then you already know how easy it is to share your smartphone with any device running Reflector. Jump on the same Wi-Fi as the device you’d like to mirror your display on and then walk through AirPlay per usual. Why use Reflector over AirPlay? AirPlay limits you to share to their Apple TV but Reflector allows you to share from, say, your smartphone to your laptop. I can reflect anything that is happening on my phone directly to my computer’s desktop. Not on the same Wi-Fi as the desktop that you’d like to display on? There’s an App for that. With entering a short Quick Connect Code, Reflector Director allows you the ability to share no matter where you are. In hopes to both support local brainiacs and help out local business owners or educators, we simply wanted to invite you to check out all of the great work that is happening at Squirrels. Keep making North Canton proud, guys!